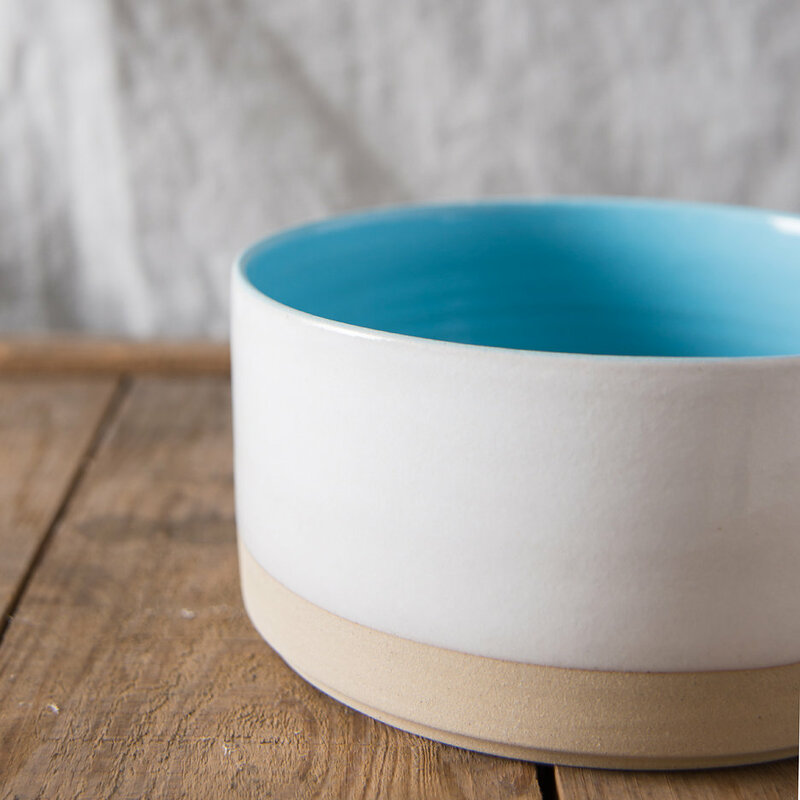 A great all-rounder and round! 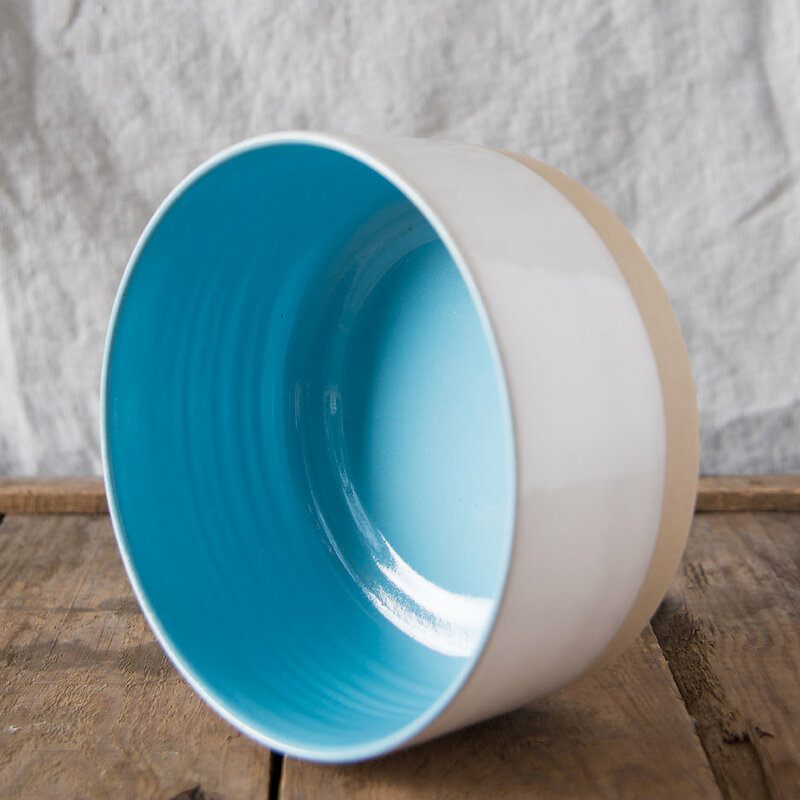 Really handy serving dish for all sorts of things… perfect for peas, potatoes, parsnips, pilafs and obviously other food groups that don’t start with a P! 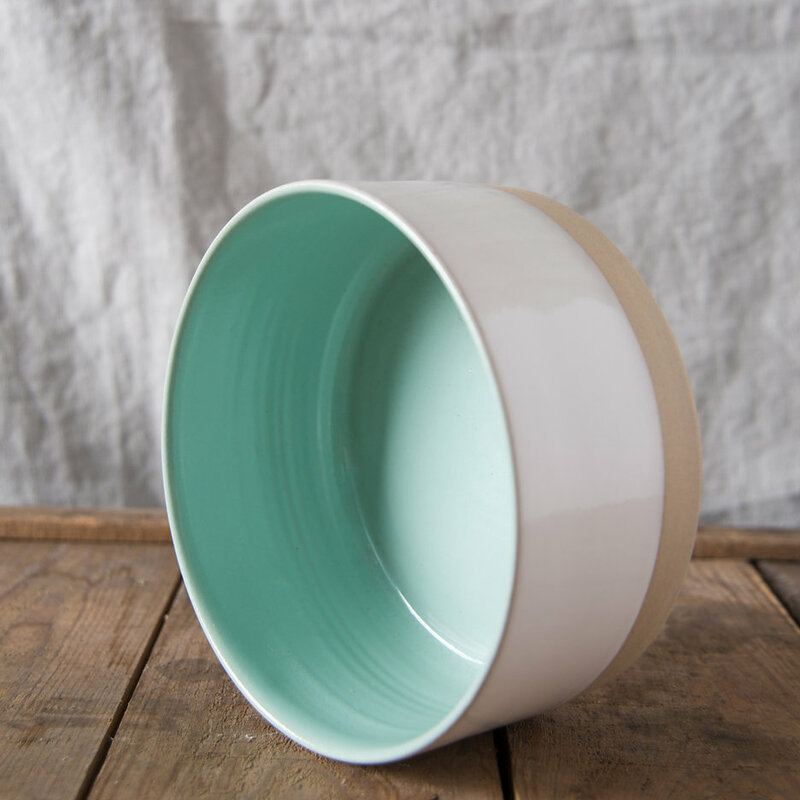 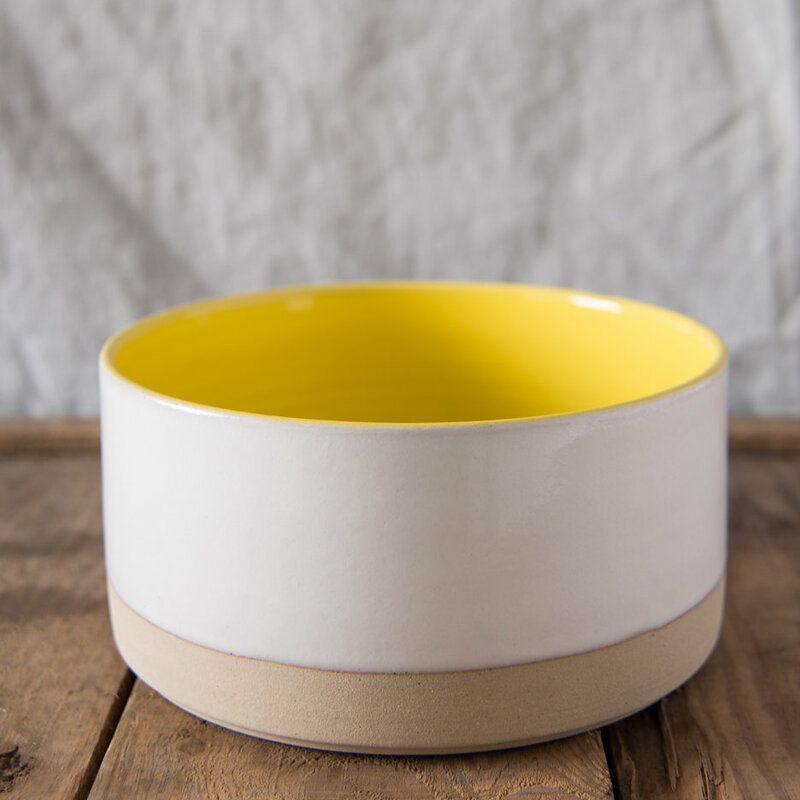 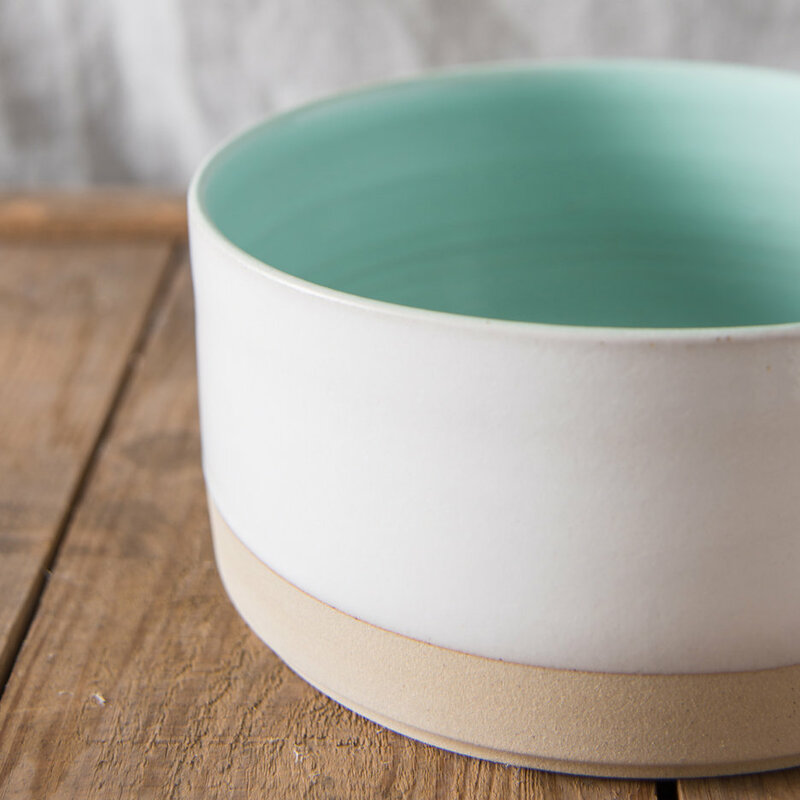 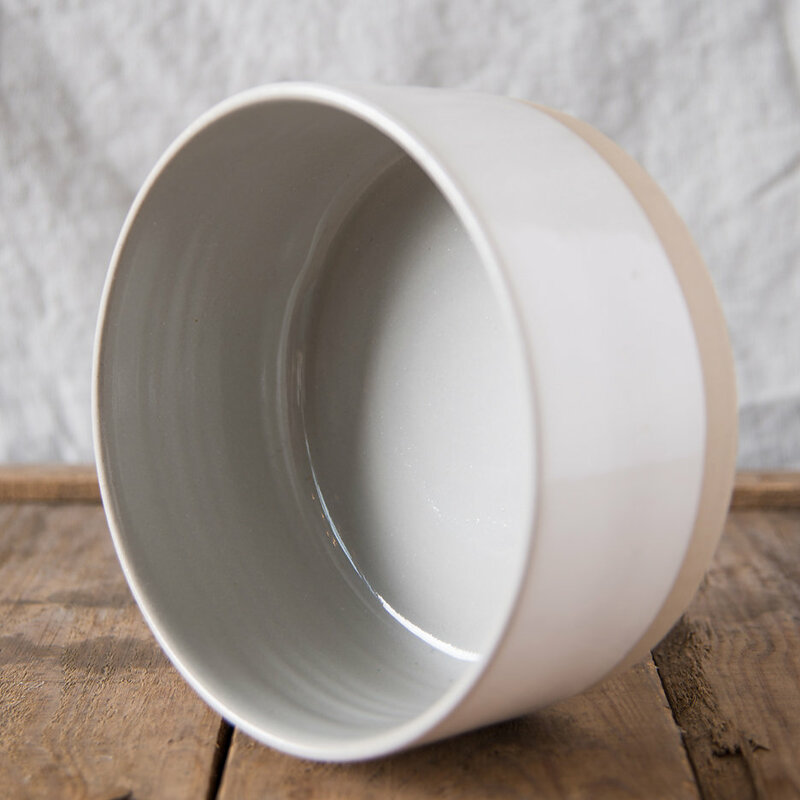 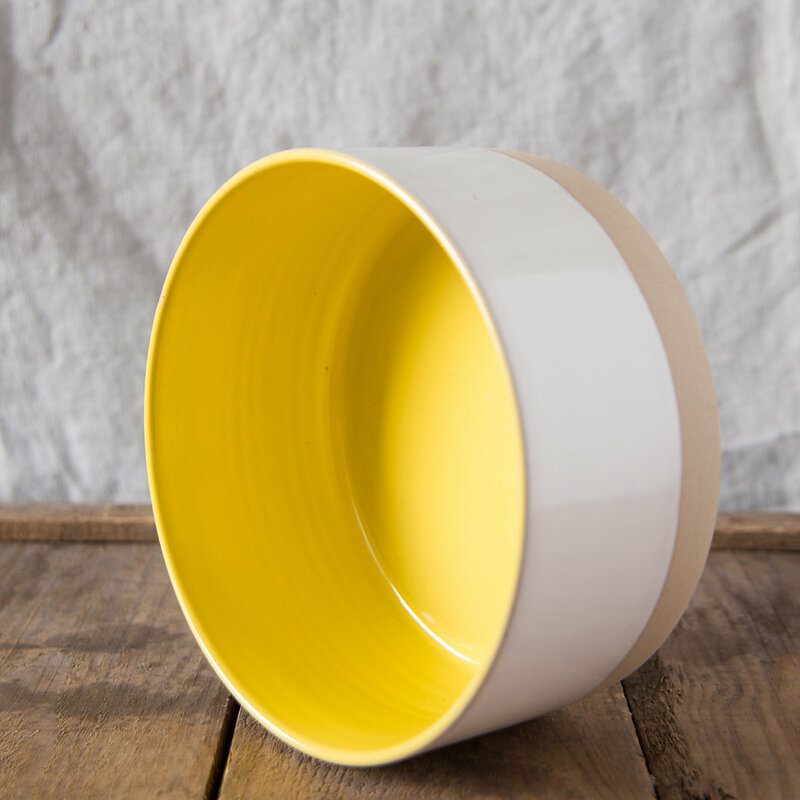 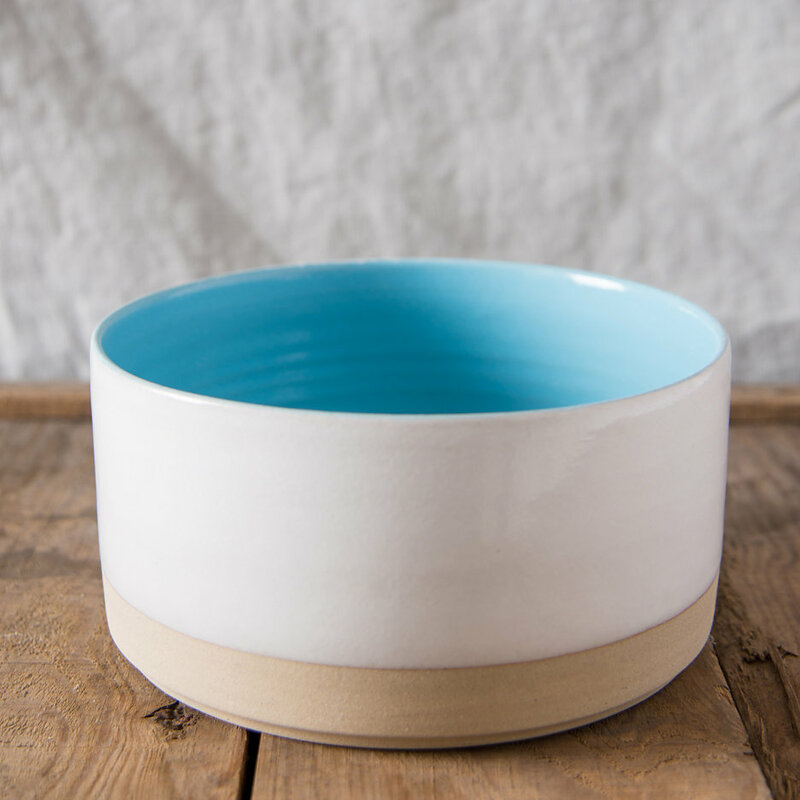 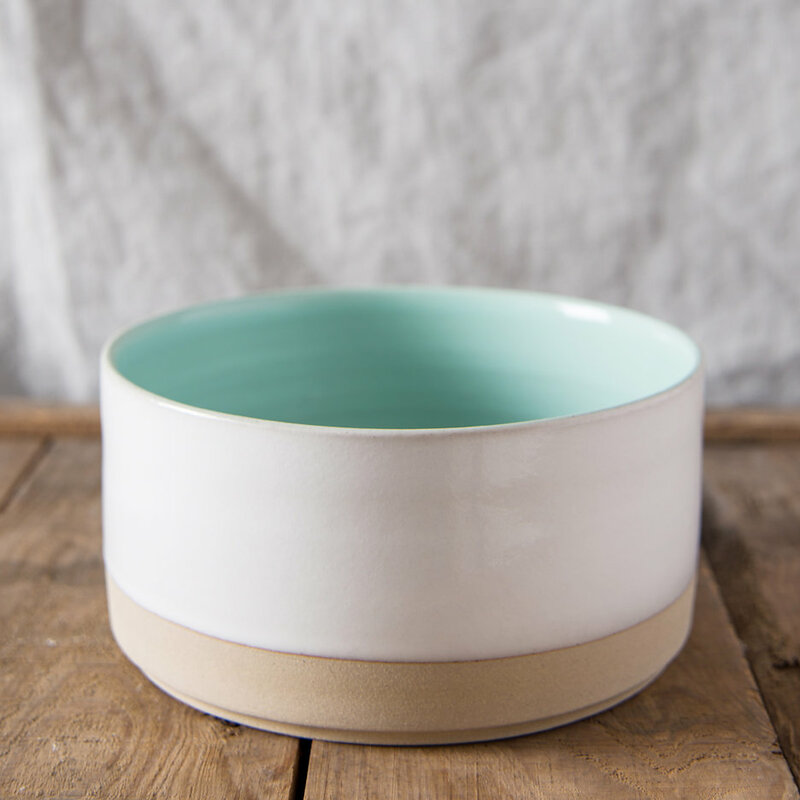 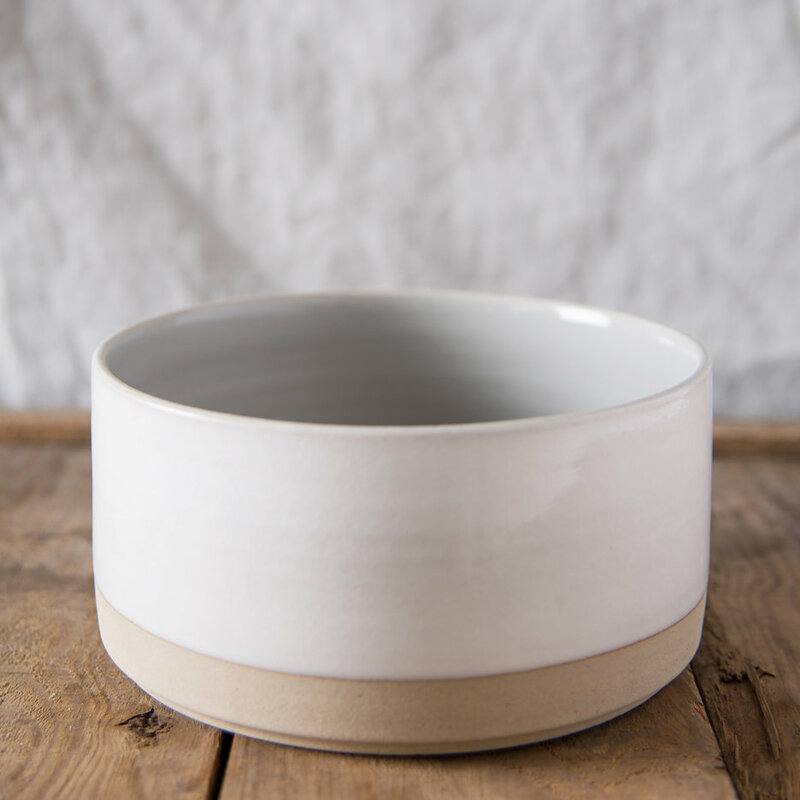 The contrast of the cool white exterior and the coloured interior makes this a tad different to your everyday serving dish and the straight sides mean the different sizes stack neatly inside each other. 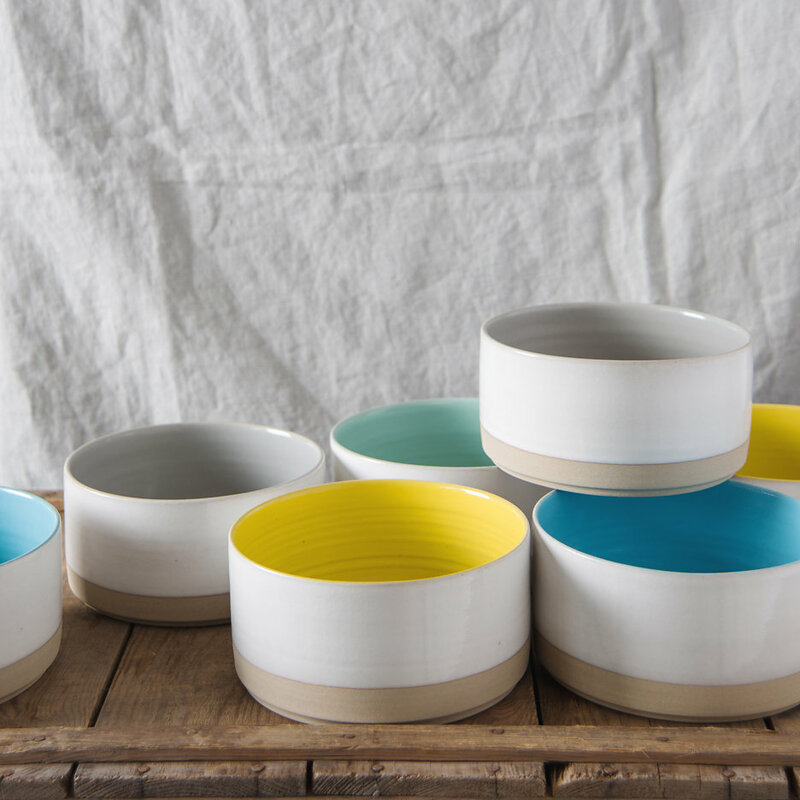 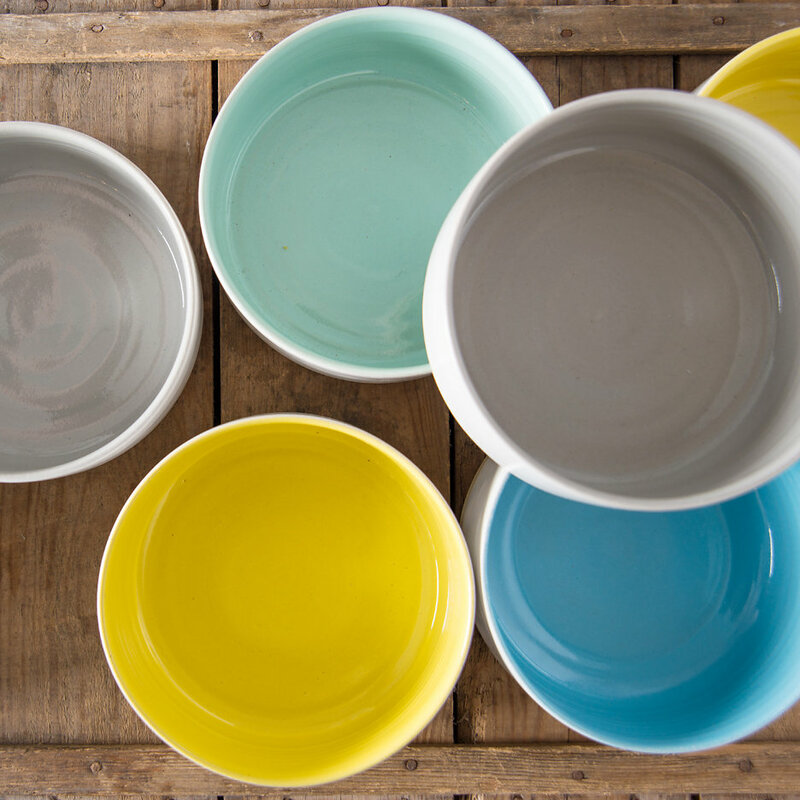 Handmade in Burgundy, the family run studio takes great pride in reinventing classic French ceramics. 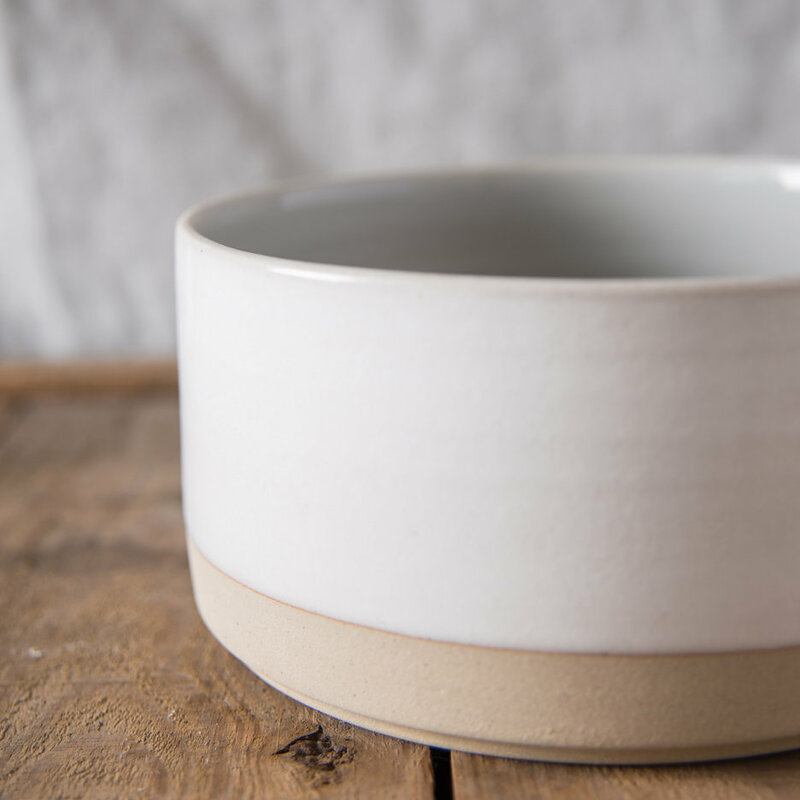 The signature of this stoneware is the unglazed base showing its humble origins. 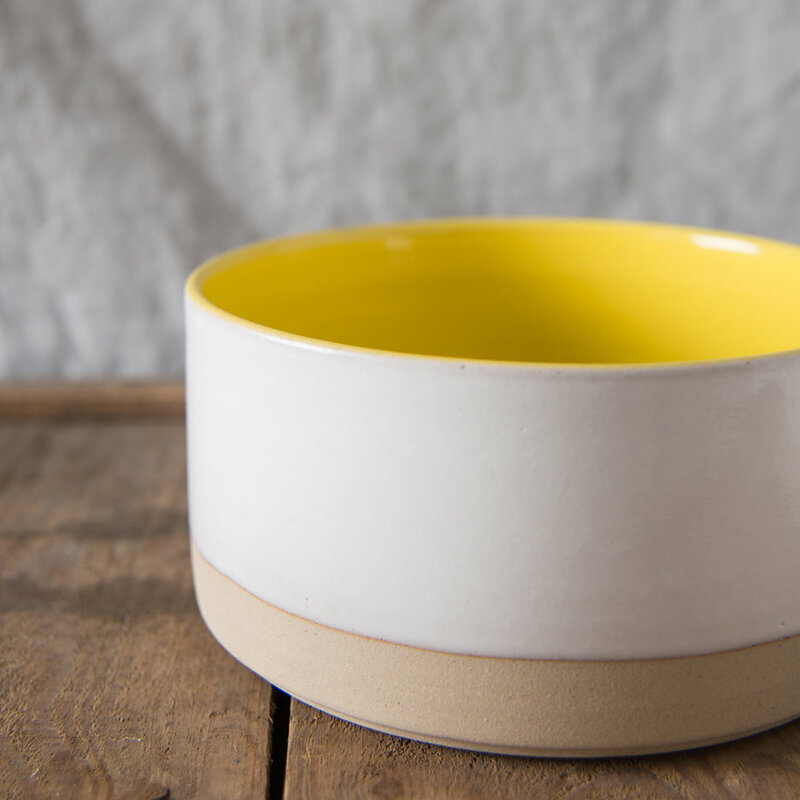 The ceramics have been brought into the 21st century with clean lines and contemporary colours, combining traditional methods and materials with modern design.